This is a vintage cameo or cabochon that was made in Germany. 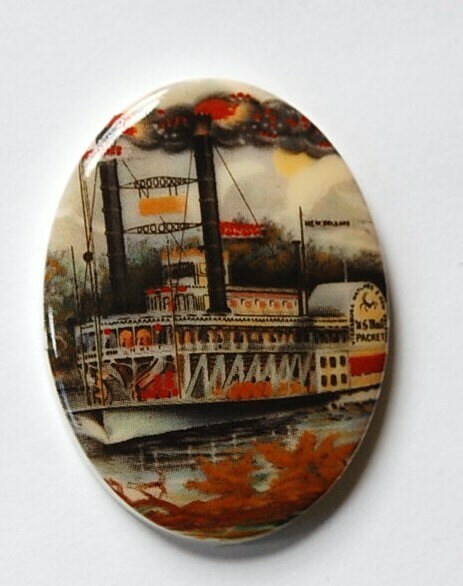 It features a riverboat on the front. The back is flat. This measures 40mm x 30mm. You will receive one piece. Great service. Love the cab.